Thank you so much for all of your help and hard work on our event! Your whole team did an absolutely amazing job. Everyone who came to set up/break down was so professional, helpful, and nice. I was blown away by everything you and your team did to help me. I can not thank you enough and our event would not have been possible without you! "The styled shoot was amazing...wait until you see!!! AMAZING!!!! The party was so fun and we raised over $3,000 for the foundation! Thank you for being so wonderful and please know that your staff - especially Krista and your delivery crew - were awesome yesterday. Great team!" "We cannot begin to thank you and your staff enough for all of the work you did for our first wedding show. The Mix Event would not have been such a success without Party Plus and all that you graciously provided. You were an absolute pleasure to work with and I hope that we can work together in the future again! Please thank all of your staff who helped that I do not know all the names of- we are so appreciative of all of you!" "I wanted to let you know that your delivery person and driver was the most AMAZING person I have ever had deliver--ever. He was so courteous, so sweet, and wouldn't let me lift a finger to adjust a thing. He went up my assistant who was putting the linens on and asked if he could do it for her! She didn't let him and told him she was just fine and he said, 'I don't want any of you lifting a finger or any of this stuff! You just tell me where it goes and I will get it.' If I was speaking to someone, he didn't interrupt and just stayed back until I glanced his way, even!" "Your guys were the nicest, most professional gentlemen! Ronald is a gem. I was thrilled to work with them today and wanted to say thank you!!" "Your crew did an excellent job….excellent customer service!! See you next year!" "Thank you so much for helping me to figure out which size tent would best meet my needs. I was pleasantly surprised to see that the tent had the two points at the top. It made the affair much more festive. My daughter was well-pleased. The delivery crew did an excellent job setting up the tent, ensuring that my tables could be placed in the most level area of my back yard. I appreciated their expertise. Once again, thank-you. You helped to make our celebration a great success!" WOW! FANTASTIC! AWESOME!Those are some of the words that we have heard from Family, Friends and Guests who attended our daughter’s wedding held at The Center Club. It has been almost a month since Stephanie and Dan Fulop took their wedding vows and we are still hearing from family and friends just how much they enjoyed the wedding and just how beautiful the room looked, thanks in a large part to you and Party Plus! Mr. John Warnick, General Manager of The Center Club has personally told us on several occasions that the club never looked so good. It was that Special!! When we were selecting the look and design layout, it was clear that we needed special chairs brought in. As you know, Karen and I have well over 40+ combined years in the Wedding Industry, interacting and dealing with all types of Wedding Professionals and Rental companies. Party Plus was a “No Brainer” to supply the rentals of the natural wood chiavari chairs and the gold chargeurs at The Center Club! The professionalism, friendliness and willingness to make our wedding the very best was evident from our very first phone call. You went way over and above to make the entire process as smooth, professional and as easy as possible. We never worried one second that you would deliver on time. We knew that selecting Party Plus made our decision an easy one. Thanks for making us look so good." "Thanks for everything, my daughter's party was a blast and the snowballs were a hit!" "Lauri, it was GREAT to see you again and I'm so thankful to have you on my "team". My dad was very impressed with your expansive knowledge. I believe his words were, "Lauri could have run the whole show, she's great." "Thank you so much for your incredible supportiveness during the prep, filming, and wrap of Disney's "Tuck Everlasting". You've been a great friend to this production. I know I can always count on Party Plus. I particularly loved our tent at the "Foster House". It became home away from home. Likewise the tent at Pot Springs became "ground zero" for all of our "Tuck Cabin" activities. The homeowners loved it as well (I realize you chose it with just such an idea). We all feel that this film has high quality, beautiful locations and a lot of heart, due in no small part to you contribution. The Directors Producers, and the Production Team were all most impressed with the reception that has greeted them in Maryland. I assure you, there is no better public relations capable of bringing even more films into Maryland than that. I know how busy you job is and that makes your graciousness all the greater. I hope you don't mind that I've been telling anyone who will listen all about how terrific a friend and tent/heat/lighting/genny supplier we've had. Perhaps another movie company will call on us both again, and soon. In the meantime, you have my heartfelt thanks for everything you did to make the 'Tuck Everlasting" cast and crew so comfortable." "Just a quite note of thanks to all of you for your assistance with the Capital Campaign Kick Off Gala. The set up wsa just what I was looking for, dignified but celebratory. Thank you for making Montgomery College a place where we truly celebrate endless possibilities." "I just LOVED working with Party Plus! Lauri Dixon is an absolute joy to work with and was so helpful every step of the way. From the very beginning, I had contacted several rental companies and Lauri was quick to respond and so friendly. I found Party Plus to be very competitively priced and the service to be the best. Throughout the process, Lauri was very patient through many design and linen changes and was quick to email all hours of the day to help with event design and gave great advice and her opinion on several rental choices. She was great keeping me on track with all details throughout the wedding planning process, especially when bride brain kicked in! The room ended up looking beautiful and they were even extra accommodating by dropping off the rentals a few days early so I could see the room set up the night of the Rehearsal. The linens and chairs were all in great condition and the up lighting really gave the room a whole new feel. Lauri even emailed me to wish me a wonderful wedding and even followed up after our day. Everyone I dealt with was extremely professional and I will be recommending to all of my friends!" "Lauri, you were so great I would like to lead additional, future USNA brides to you and Party Plus. Thanks again!" "On behalf of the Foundation at Anne Arundel Community College, as well as the staff of Institutional Advancement, Applause, Applause!" You really went the extra mile for us to ensure that the evening was a success! It is always a pleasure to work with you on campus events and we consider you a long-time friend of the college, Leroy. Your services are very much appreciated and acknowledged and we will look forward to working with you again in the near future." "The Party Plus crew were amazing - worked incredibly hard & always laughed, smiled, priceless. They were amazing under difficult circumstances - the weather was horrible but they never once complained." " Thank you so much for all of your help! You have gone above and beyond. Your creativity and attention to detail is greatly appreciated. Your attentiveness and customer service is phenomenal It is my extreme pleasure to be working with you and Party Plus on my special day." "Lauri, thank you for your expertise and prompt responses - it made my job easier!" "My hat goes off to you for your calm demeanor and professional attitude during what we (the Government)put you through. You and your employees were so wonderful to work with which really helped me to maintain my sanity...Ok, somewhat. I wouldn't hesitate to recommend you and your company to anyone for any event. I hardly knew you and your staff were around due to the fact that you all worked so quickly, quietly, and confidently. Everyone here raved about the ceremony and especially the reception. ”The best we ever had" was heard over and over again. Your efforts helped to make this University look good and give some first-time attendees a very favorable impression of the Nation's only Federal Medical School.We salute you for your efforts." "We thought the lanterns looked amazing on Saturday. They were just the right touch for the dance floor. Claire was very pleased with the overall ambiance." "Thank you so much! It has been so much fun working with you and getting to know you. You did a fabulous job making my wedding day perfect!" "Everybody who attended the party, just loved it. Thanks again for doing such a good job. It was so wonderfully done." "On behalf of production, I cannot thank you enough for all of your help while filing HOUSE OF CARDS. Thank you again! "Everything went off flawlessly! Party Plus did a “hell of a job” setting up the gym on Wednesday night. There was a Media Vendor in the gym at the same time setting huge screens/lights, and a sound system. There was no conflict; everyone worked well together. I want to personally thank your team; Ronald, Vernon, DaSean and Ray. In fact, Vernon came early on Thursday to begin the breakdown before the rest of the team arrived. Hopefully, we can have the same team for the next event. It continues to be a pleasure working with Party Plus." "Simply Amazing.....Lauri and her team made my life so much easier and the transformation of the space into what the bride and groom wanted was nothing less than amazing! An absolute pleasure and professional group to work with - I recommend them highly and will use no other vendor!" "I have used Party Plus for several events over the past few years. Whether big or small, they have always provided stellar customer service and maintain quality tents, tables, linens, decor, etc. They are timely, easy to work with and friendly...even with last minute changes. I tell all my clients that Party Plus is my "go to" vendor for a variety of their needs. I especially love working with Lauri...she makes it happen and thinks outside the box to give my events and clients that extra WOW! Party On, Party Plus!" "My daughter and Fiance' decided on an outdoor wedding to be held on our street. (an upscale catered BBQ) While searching the web I found Party Plus. The package deals appeared to be very reasonable. I contacted Lauri and put her in touch with my daughter. Everything went beautifully from there. Lauri's suggestions were well taken. The tent was awesome, everything was delivered on time with no mistakes made!! It was a beautiful reception!! Our guests stated that it was the best reception ever attended! My thanks to Lauri and her staff for making our daughter and now son-in-law's dream come true!!" "Party Plus provided a service well beyond rentals! Party Plus had great ideas about how to arrange the space comprising our waterfront yard to maximize the views, as well as the flow of the wedding, reception and our guests. Party Plus provided a full range of good quality options that rounded out our vision for a beautiful, garden style wedding at sunset, followed by high energy dancing and partying throughout the evening. At every turn during our planning, Party Plus also had helpful contacts for other services such as caterers and transportation. Party Plus installed a large tent with lanterns, lighting and drapes, as well as a level parque floor across a sloping lawn. They installed three stages of a perfect size and shape to accommodate the wedding party and two bands that needed to be beautifully arranged around large trees and over gardens. They provided all of our tables, chairs, linens and dishware, and they arranged for the speakers and soundboards needed by the bands. We never felt like a sales pitch was in the works, but rather that Party Plus wanted us to have a pleasant and satisfying end-to-end experience that they surely did deliver. They delivered on time and with a smile for a reasonable price. Pretty cool! Thanks, Party Plus!" "The team at Party Plus was amazing. We rented our linens, glassware, chivari chairs and more from them. Everything was delivered on time and looked amazing. Those special touches really made a huge difference in the final look of our spectacular day. Everyone at Party Plus is helpful, keeps in contact with you and offers expert advice, as needed. I would definitely recommend them to friends and family." "I worked with Lauri who had to change my quote several times with no problem. The quality of the tables and chairs we rented were excellent and they had matching chairs to go with our color scheme. She really did everything to make it easy on me when booking the rental stuff. Thanks Lauri for being a great party rental company!" "Lauri was an absolute dream to work with. When we first met on site, I explained to her how I wanted fuschia lighting to go along with my theme. Per her recommendation, we went with a gorgeous rose hue instead... A much more flattering choice. She was 100 percent right. All of my pictures came out beautifully. The lighting in the lobby area where the cocktail hour was held also looked exceptionally chic and the lighting choices gave just the lounge-vibe I was looking for. Her taste and recommendations were spot on. I highly recommend this vendor to any bride!!!" "Cannot say enough about Party Plus. We opted for an outdoor reception at a site we chose on our own. The good news was that this brought tons of freedom to plan the exact look and feel we wanted for our guests ... of course, with that freedom also came the logistics of planning the right tent, chairs, tables, dance floor, generator for the band to plug into, and so on. Sounded a bit daunting on the surface, but Lauri Dixon and her team could not have made it easier. They were great with suggestions and advice (like sidewalls for the tent just in case the weather turned unexpectedly cold that night) and more. So easy to work with! They absolutely have our highest recommendation." "Lauri was professional, responsive and easy to work with. Our custom gobo was beautiful, and the lighting and dance floor was exactly what we needed. She did her best to provide a service that was tailored to our wedding, and dealing with her and her co-workers was stress free. I would definitely recommend Party Plus for lighting, custom gobos and dance floors." "From my first conversation with Lauri Dixon I knew I had selected the right wedding supply company. Party Plus provided the tents, chairs, tables, linens and wedding arbor for my son's wedding at our home. Lauri came to our home and measured for the tents, and made several helpful suggestions..things I had not even considered. She also recommended other vendors for things Party Plus does not provide. Lauri was always accessible and replied promptly to my calls. I also was impressed by the delivery crew. They were so professional and helpful and made sure they had everything exactly as I wanted it before they left. I would not hesitate to give Party Plus my highest recommendation to future brides or event planners....Party Plus will relieve your stress immediately, and you can be assured that each detail will be handled appropriately and with great skill." "I want to thank you and your entire staff for everything you did to make the commencement ceremony a wonderful experience for our graduates. It was a pleasure to work with you and I look forward to next year!" "The event was great for our first venture on the Mall. Thank you for your expertise and prompt responses to emails and phone calls -- it made my job easier. The band was very impressed with the stage and power set-up. I will email you a picture of a stage that a rival company provided the band -- they have to cope with whatever is provided. Thank you!" "I wanted to say how impressed I was with the staging, pipe and draping. Everything looked amazing. It was exactly what I was looking for and made the event even that much better. The staff at the Comfort Inn - Bowie where we had the event was equally impressed and made several positive comments about the staging and carpeting." "Your thoughtfulness and patience has been amazing. Thanks again, working with your company has been a delight. Everyone has been so incredibly nice!" "Thank you for savings the day!!! I know not a lot of guests went outside, but I told every guest that asked how awesome you and your team were for doing that. I hope to work with you soon!" "Lauri, You are the best. Thank you so much for your support enthusiasm, and sponsorship. The only thing that went wrong was that you were not at the bazaar! We represented you! Thank you for everything I truly appreciate you. you rock!" "Thank you so much for all of your help and commitment to making out Grand Opening Festival of the Healing Arts such an amazing success. You were always knowledgeable warm, and professional. Best of all, your ideas were spot on! Everyone we worked with at Party plus was friendly, supportive, and enthusiastic. We truly could not have pulled this off with out your guidance and service. We will consistently refer you to out clients and friends and will be relying on you to help with all of our future events. Please do not hesitate to use if as a reference if needed." "Thank you again for participating in our annual picnic on May 10th. We had close to 500 people come through our picnic and despite the weather they actually had a good time. We were able to utilize the tens despite the initial bad weather. We did have to inside but we managed to have games and moon bounces on the patio and used the tents. I would defiantly like to use your company again so I will be in touch. Again thank you for working with me and I look forward to future events together." "I wanted to thank you for the incredible job that your team did with the tenting of our Atrium. The Welcome reception on the Monday evening of Staff Week was a tremendous success and your tent and lighting really added to the overall ambiance and feel of this activity. Not only were your employees courteous, but they meticulously worked at lighting speed to get the large tent up. You and your team are true professions and I will defiantly use Party Plus again if the occasion arises." "On behalf of the Board of Directors of the Craig Walden Foundation and the Walden Family, we would like to personally thank you for your participation in the First Annual Craig Walden Classic. Because of your anticipation you helped raise over $31,000 for the Children's National Medical Center. This donation will help support current and future research for the childhood diseases and improve children's health care programs. We thank you for your patience and enduring the weather for this year's event and very much appreciate your support for this worthy cause. Again, thanks and we look forward to seeing you next year." "I wanted to let you know that we certainly appreciated the tent you provided for the hospital during our Employee Appreciation Day. We look forward to working with you again in the future." "We thank you for the work you did for our Grand Opening Celebration last week to showcase our building and pave the way for our future. They set up looked great! We have no doubt that the 400 people in attendance will remember the work of the food bank and all of its partners. Thank you for being a part of this special day with us. We look forward to working with you again in the future." "Our Deck Expo was a success and Party Plus was one of the reasons why. I wanted to commend your company for your customer service and your wonderful staff. In your absence Amanda Wentworth was assigned to our event. She was very helpful and courteous; very easy to deal with. We had called her with some last minute additions and she took care of them with no problems. The crew that came out to set p and break down the tent was fantastic. They were very professional. They would ask us questions before doing something to ensure we were happy with where things were going. I had them move some things around a few times and they were more than willing to do so without hesitation. Thank you for making a stressful event go a little smoother." "You have been just WONDERFUL with helping to make the Mayor's Office of Employment Development All-Staff meeting at Druid Hill Park another success. Thank you so much for providing us with a ten. Thank you also for being so reliable that I know that the tent setup will go as planned. For this, MOED's employees cannot thank you enough for all you have done! Without any doubt in our minds, it looks like it will be another perfect day for another MOED All Staff meeting. Party Plus has always provided excellent customer service, and for this we can;t thank you enough for another great year." "Thank you for your generous support and participation in the first ever Montgomery County Public Schools Back-to-School Fair. The fair was a model of successful collaboration among the school system, local government agencies, businesses and community organizations. Donations of goods and services exceeded $70,000. By working together, we were able to provide families with a safe and enjoyable event to kick off the new school year. Thanks again!" "On behalf of The Brick Companies and the W.C. & A.N. Miller Companies, we would like to sincerely thank you for your support of the Edward J. MIller, Sr. Memorial Golf Tournament. With everyone's help we were able to raise over $353,000 for the event for the Children's National Medical Center. Your generosity and participation played an essential part in our efforts to sustain and improve the life-saving facility, as well as assist the other charities. We hope you will join us again next year!" "We would like to thank you and your staff for your help with the event on Saturday. The Retirees Recognition Luncheon truly presented Prince George's Community College in a most positive light, This was much more than a luncheon it was a celebration of the legacy of hard work that made this institution of higher education what it is today. We were so thankful to be able to work with individuals who excluded a level of professionalism and respect for their profession and those that it touches. Our hope was for those in attendance to leave with the knowledge that their commitment was truly appreciated and you and your staff enabled us to do just that. We are so happy that you were able to be a part of the recognition of the rich historical legacy of Prince George's Community College. Thank you so much for your involvement in this event." "Thank you and your crew for working with us and making our special day wonderful and beautiful. I will send you the photos once we get them from photographers. Thank you once again and we would love to work with you for the upcoming events!" "Lauri, You have been amazing and extremely helpful – and I thought I required a lot of innate ability to be patient teaching kindergarten – but your job requires a lot of detail/revision/know-how and “patience” with a process. Sometimes I try to envision how challenging this must be for you - but then take great pleasure with guessing that maybe you love your job as much as I love mine. You must – because you’re awfully good at it! Thanks so much for everything! Hopefully you know what your help/expertise has meant to me these past several months and especially over the last couple of weeks"
"Everything went well! Your guys have this down to a science!" "I just wanted to let you know how appreciative we are of all your help during our walk preparation!! You were very accommodating with all our last minute changes and we are very thankful. I also wanted to give a shout out to your staff that came out to put up the tents and take them down at the end of the night!! They were awesome and very helpful!!! We are happy to report that our walk brought in over $200,000 and we are projecting our final numbers to come in at about $230,000- The most that our Baltimore Walk has ever raised! Looking forward to working with you again in November for our Gala." "The delivery and set up crew did an excellent job!! I am so happy with everything! After the crew left, I sat under the tent relaxing because I loved it so much. Thanks again!" "I wanted to connect with you this morning and say THANK YOU so much for all of your hard work over the past two days! Your team was amazing and we could not have done it without you! The room looked amazing! You do incredible work! THANKS AGAIN FOR EVERYTHING!" Your team did a fantastic job with erecting the tent for our corporate employee event. I really appreciated the great communications by the supervisor and the quick response to getting us the side panels. We will be in touch for next year's event due to your excellent customer service! "As the event planner for the bride's wedding, I know how important it is to work with reliable and flexible vendors. Party Plus provided us with the tenting for a farm wedding on Sat, Sept 13. The days leading up to the wedding were beautiful, but the day of the wedding was pouring rain. Party Plus allowed us to add an emergency tent at the last minute and their staff were fantastic and FAST! In addition the bride's mother had fallen and broken her hip two weeks before the wedding. I worked with Lauri who not only reached out to her personal contacts for ideas on how to move the bride's mom around the farm, but was always available to talk and brainstorm ideas. "The wedding overall went really well; they were so happy! It rained all day but at about 6:45 the sun came out and painted the sky amazing colors just in time for the 7 ceremony --- it was so perfect. Those pews are awesome! Guests thought they were in a movie! The smores bar was a huge hit! Thank you so much for everything! It worked out well and they were so happy!" "Hi Lauri! Just wanted to thank you for the excellent service your company provided for my party on Aug 30th. Everything was perfect beginning with meeting you. Thanks again!" "Hi Lauri! Your team that brought the dance floor and chairs were awesome and did a great job – the day was magical! Thanks so much!" "Lauri and her crew are top notch. They executed our vision flawlessly - from equipment selection and delivery to set up and pickup. They were efficient, precise, and friendly. We could not have chosen a better partner. Our tent was stunning. They even helped us come up with a layout and style our tent space with nautical props from their showroom. Hiring Party Plus = best decision we made!!" "I wanted to reach out and say THANK YOU so much for your partnership at this year's WeddingWire World! You have been such a pleasure to work with! The conference was our largest ever and a huge success; I hope you and your guests enjoyed it. The furniture you provided was a perfect fit for our consultation room and on-stage for the panels - so again, thank you! Please let me know if you have any questions or comments on the conference, and I truly hope that you found our partnership beneficial. I made sure you were included in our printed program and in multiple on-stage "thank you's". Thank you again, Lauri! 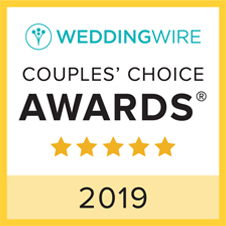 We do plan on hosting WeddingWire World in DC again next year; if you think this is something you'd like to partner on again, please let me know :-)"
"Does Ronald have a someone special? I sure hope so because he is just the sweetest man alive. Four Seasons always sets ups the chairs....and a "set up charge" was not included on the contract for that reason. I was at the ceremony rehearsal when everything was delivered and a few hours later I see Ron walking through the hallway of the Four Seasons and I said "Hey there! What are you doing back here so late?" He came back to set the chairs up ...I mean really! (They were already set up by the four seasons, I told him to go home and relax). Another wonderful event working with you, added to the list of many! Many thanks Lauri (& Ron!)." "Thank you so much for making us look great! The dinner was a huge success and I know we all will garner business for it! The guest could not believe all the beautiful table appointments and how wonderful it was to be “served” in an amazing venue! Thank you again for all your help and generosity!"